We were in Richmond, Virginia a couple of weeks ago. Due to a lack of planning, we had to change campsites after just a couple of nights. We relocated from Pocahontas State Park southwest of town to an Americamps just off highway 95 north of Richmond. Except for the road noise, the Americamps campground was nice and fairly priced. The Wifi was very good as well. We tend to like more natural surroundings but it met our needs for the two nights we were there. Plus, we were in a great location for accessing historic areas in downtown Richmond. 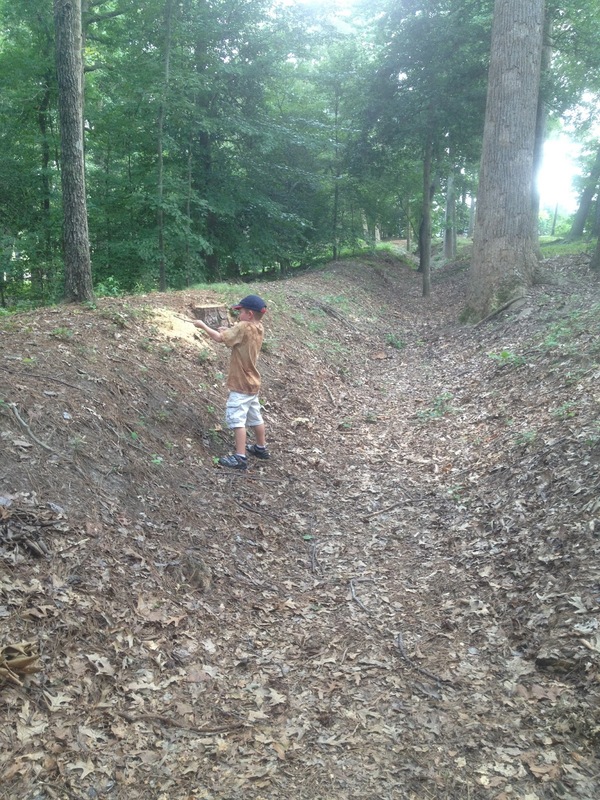 We went to the American Civil War Center at Historic Tredegar. This museum provided a good broad brush presentation of the Civil War in America: the issues involved, some of the facts and the way of life during that time. Some of the displays were a bit complicated but there was enough there to interest a 5 and 6 year old with some Civil War background already. The short video at the beginning did a great job of explaining how there were a lot of issues that gave rise to the Civil War. While slavery was an issue unto itself, this video made the point that slavery was an underlying aspect to all the other issues as well. I found that message to be very profound, and, in my own mind at least, I have no doubts (assuming I ever had any) as to the central cause of the Civil War in America. Right next door is the National Park Service Civil War Visitor Center at Tredegar Iron Works. 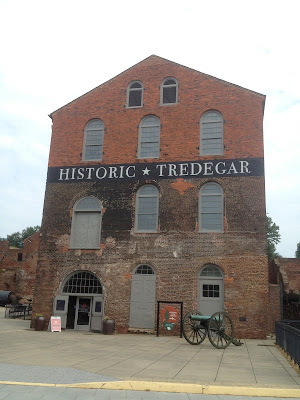 Both sites give information on the importance of the Tredegar Iron Works during the Civil War as this site was the primary site of artillery production for southern troops. 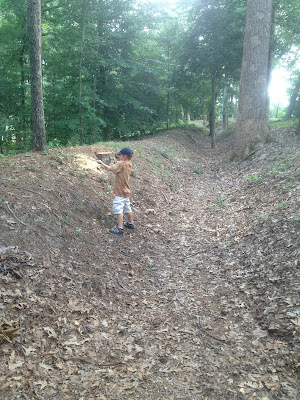 The National Park focuses on Richmond and it surrounding area during the Civil War including the Peninsula Campaign and the Seven Days Battles. After this we journeyed out to Cold Harbor which was a major battle field early in the war with the Battle of Gaines's Mill but is most notable for the Battle of Cold Harbor which took place at the end of the war during General Ulysses S. Grant's Overland Campaign. General Lee was victorious on both occasions. At the time of the war, the Cold Harbor area was mostly open fields and pasture, but now much is forested. We walked through the site looking at the trenches that were dug, but it was only in the more open areas that you understand their necessity. I haven't visited many Civil War Battlefields, but, of the one's that I have, this is the first one where I grasped at least of vague understanding of what it would have been like to be there a hundred and fifty years ago. So if you want to get a flavor for the Civil War in America, Richmond is a good place to start. And there are many more battlefields and museums in the area than these few that I have mentioned devoted to the topic.